Read the latest information announcements and alerts from the IT Services Security team. 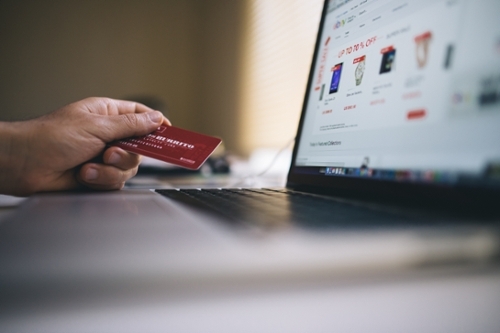 Shop reliable websites, and get there safely. If an offer sounds too good to be true, it probably is! Don't be fooled by the lure of great discounts by less-than-reputable websites or fake companies. Use the sites of retailers you know and trust, and get to their sites by directly typing a known, trusted URL into your browser address bar. Beware of seasonal scams. Fake package tracking emails, fake e-cards, fake charity donation and vacation scams, and emails requesting that you confirm purchase information are particularly common this time of year. Always think twice before clicking on links or opening attachments -- even if they appear to be from people you know, legitimate organizations, your favorite retailers, or even your bank. Messages can easily be faked. Use known, trusted URLs instead of clicking on links. And only open known, expected attachments. When in doubt, throw it out! Keep clean machines! Before searching for that perfect gift, make sure your device, apps, browser, anti-virus, and anti-malware software are patched and up to date. Protect your passwords. Make them long and strong, never reveal them to anyone, and use 2-step authentication (also called two-factor or multi-factor authentication) wherever possible. See the campus Two-Step and LastPass pages to get information about how those services can protect your accounts. Look for httpS:// (not just http) in the address bar before using your credit card online. Secure your home Wi-Fi. To prevent eavesdroppers and data thieves, enable strong encryption on your home wireless network - WPA2 is recommended. Set a strong passphrase (12 characters or more), change your network’s name (SSID) from the default to something not obviously belonging to you, and limit who has administrative access to your home network. Finally, log into your wireless router periodically to check for software updates (many home routers don’t auto-update). Get savvy about Wi-Fi hotspots and public computers. Treat all Wi-Fi hotspots and public computers as compromised, even if they appear to be safe. Limit the type of business you conduct on them, including logging in to key accounts, such as email and banking, and shopping. And set your devices to “ask” before joining new wireless networks so you don’t unknowingly connect to an insecure or fraudulent hot spot. Unique account, unique password. Having separate passwords for every account helps to thwart cybercriminals. At a minimum, separate your work/University and personal accounts and make sure that your critical accounts have strong passwords -- and multi-factor authentication if possible. See the campus Two-Step and LastPass pages to get information about how those services can protect your accounts. Pay by credit card, not debit card. Credit cards offer protections that may reduce your liability if your information is used improperly. Debit cards typically do not have the same level of protection. A related tip is to use a separate credit card only for your digital transactions. While this won’t prevent theft, it will limit your exposure and make online fraud easier to detect. Don't respond to pop-ups. Ignore pop-up offers and deals. Just close them. Don’t respond, click on the links or call the phone numbers. Similarly, don’t respond to popups saying that you need to buy anti-virus software or software to “clean your infected computer”. These are all scams. Don't auto-save your passwords or credit card numbers with the retailer. The inconvenience of having to reenter the information is insignificant compared to the amount of time you would spend trying to repair the loss of your stolen information. Secure all of your devices with a complex password. Don’t use the password for any other accounts. Set a timeout that locks your devices after a period of inactivity, and be sure they require a password or other authentication to start up or resume activity. Disable Bluetooth, wireless, and Near Field Communications (NFC) when not in use to reduce the risk of your data being intercepted by thieves. Some stores and other locations also look for devices with wireless or Bluetooth turned on to track your movements while you are within range. Reach out to your department IT staff or the ITS Service Desk (servicedesk@ucsd.edu) for questions about any of these recommendations. EDUCAUSE - Shop Safe Online Even on Black Friday!